At Love Hair we believe that style should never be about compromise. 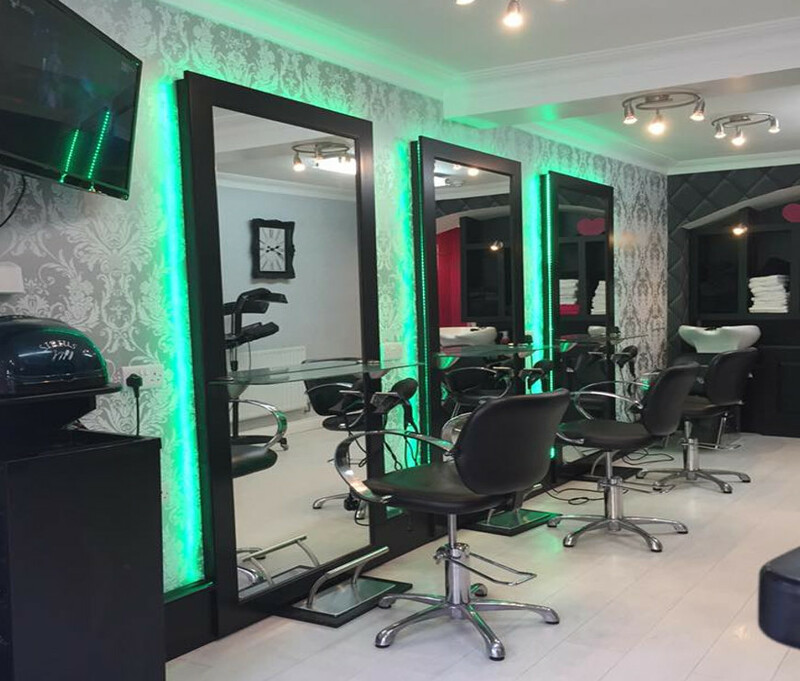 We promise the very highest standards of professional hairdressing, combined with unbeatable customer service and a fun, friendly atmosphere. Our stunning interior with its electric mix of stylish frames, bespoke wallpaper, boutique style furniture and luxury lighting are a reflection of our creativity and desire to exceed our clients' expectations. From our indulgent backwash chairs to a cuppa, nothing is too much trouble. The Love Hair experience is as unique as you are, and we offer a complete range of hairdressing services to ensure your every need is catered for. For more information drop by for a complimentary consultation or a friendly chat! Lovely warm, welcoming salon and Sonya is just lovely ! You always leave with what you asked for and after a good laugh!! A home from home! Keep up the good work. A beautiful salon and Sonya is a great hairdresser and a lovely girl. Looking forward to my next appointment. Couldn't ask for better, brilliant styles, colours and someone who listens to what u want! And if u don't know what u want Sonya knows what's best! Brilliant hair salon, stands out a mile stunning inside & ou. Sonya is absolutely brilliant at what she does and can do any hair style you like, immaculately! she's good craic and your guaranteed to be in stitches leaving. I certify that this review is based on my personal experience of Love Hair and is my opinion. I have no business or personal link with Love Hair and have not been offered payment to write this review. By providing these comments you give Good Salon Guide permission to review and publish this information. Good Salon Guide reserve the right to edit comments for length, spelling or clarity where appropriate. As part of this appointment request Good Salon Guide will record your name, email address, telephone number and appointment details. This information will be passed to Love Hair by email, through the Good Salon Guide app and over the telephone. This data will not be shared with any other companies and we will manage your data in line with your preferences below.